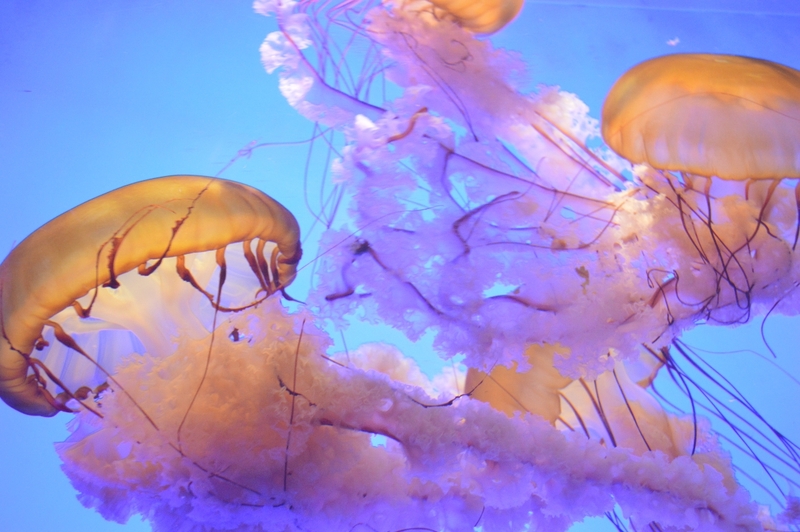 I love visiting aquariums and every time I visit one, it’s like I turn 10 again. 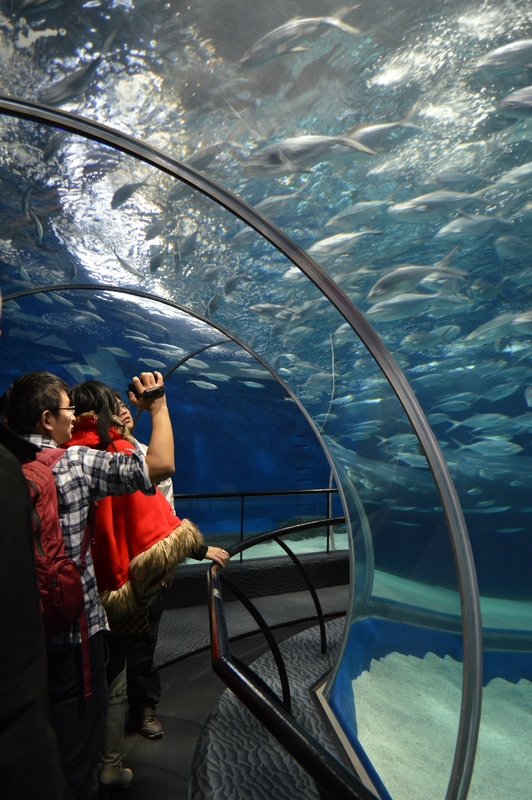 I had already told my Chinese colleagues about this before coming to Shanghai so when they took us out during the week, the Shanghai Ocean Aquarium was one of the stops. 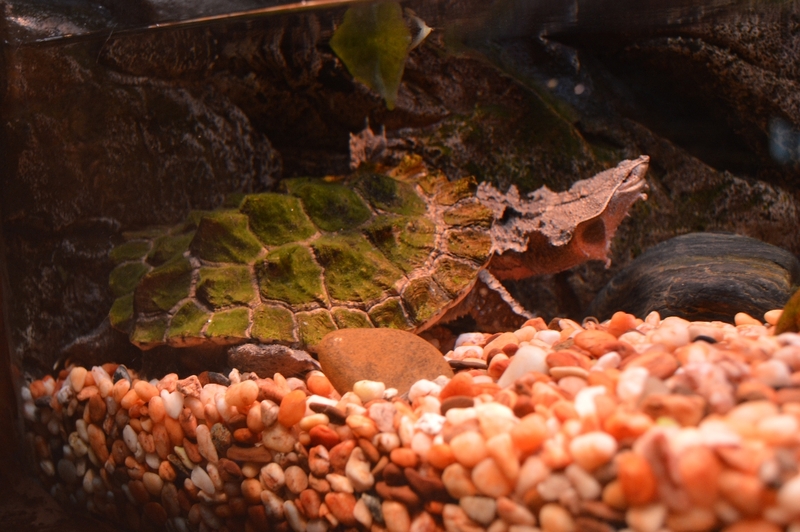 The entrance fee (160 RMB) for the aquarium is quite high considering this is China where a lunch can cost between 10 and 45 RMB. For me, it was definitely worth every penny. During our visit (Sunday afternoon), there wasn’t many other visitors. At least not to the extent that it felt crowded. I wouldn’t be surprised if one of the reasons was the high entrance fee. Bringing your family here would be pretty darn expensive. 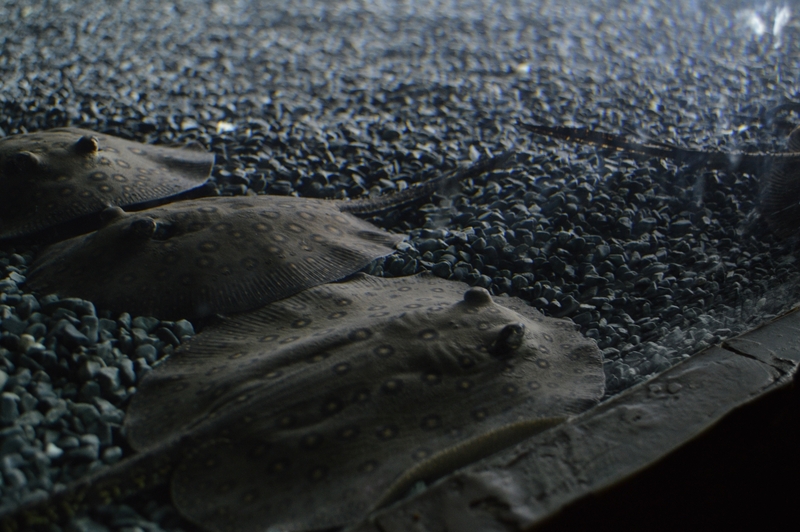 The collection of sea-living creatures was quite amazing. 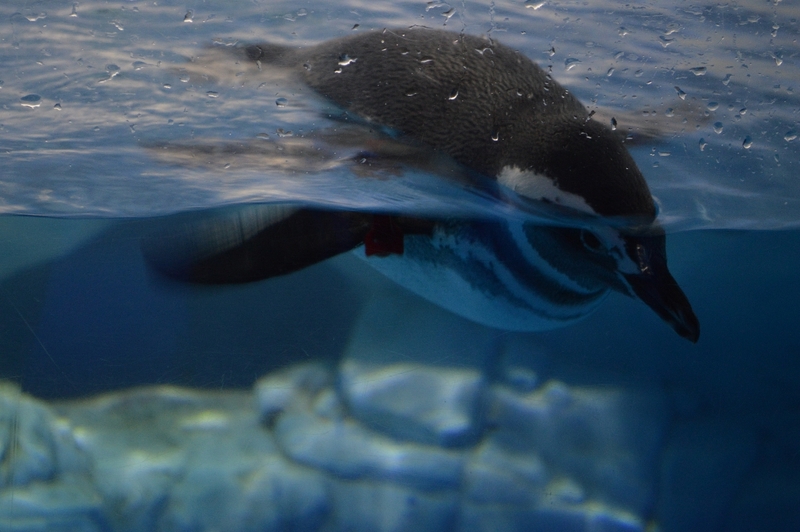 I expected to find different sorts of fish but not giant sea turtles, seals and penguins. 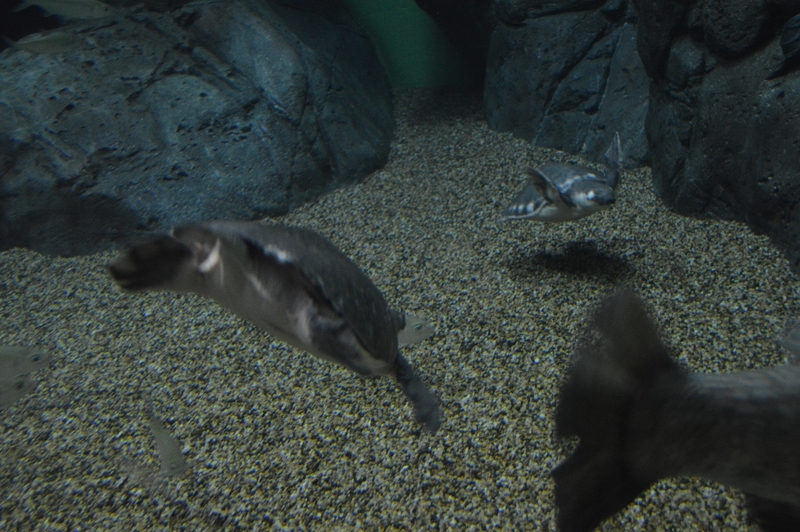 One of the cooler animals was the pig-nosed turtle that looked like a mix of turtle, pig and penguin. 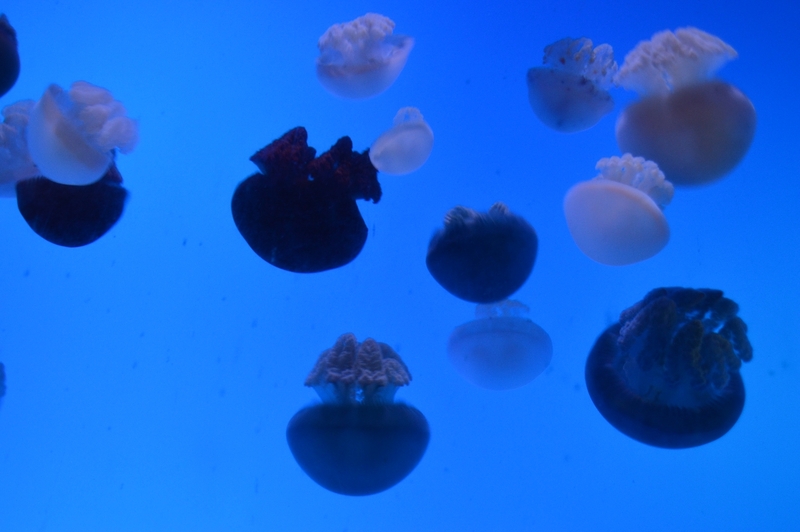 I also very much enjoyed the jellyfish part of the aquarium. 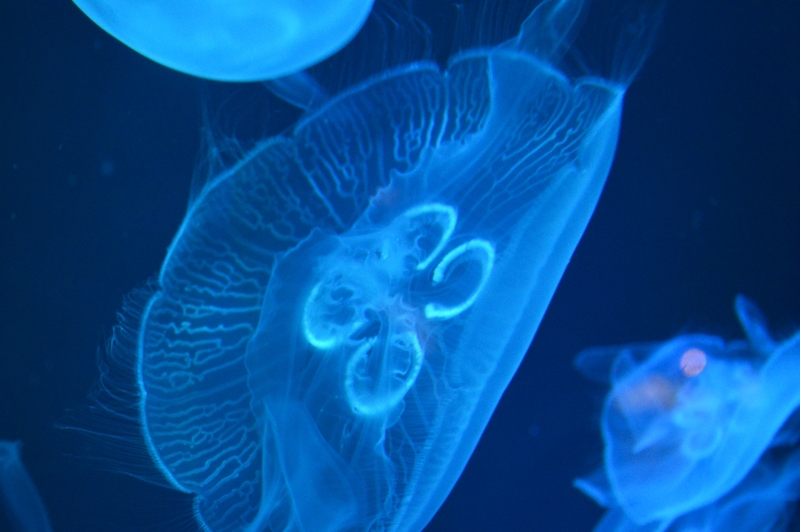 There were huge tanks, filled with different sorts of jellyfish, lit up in different colours. To accompany the lovely view, soothing theme songs from Studio Ghibli movies played. 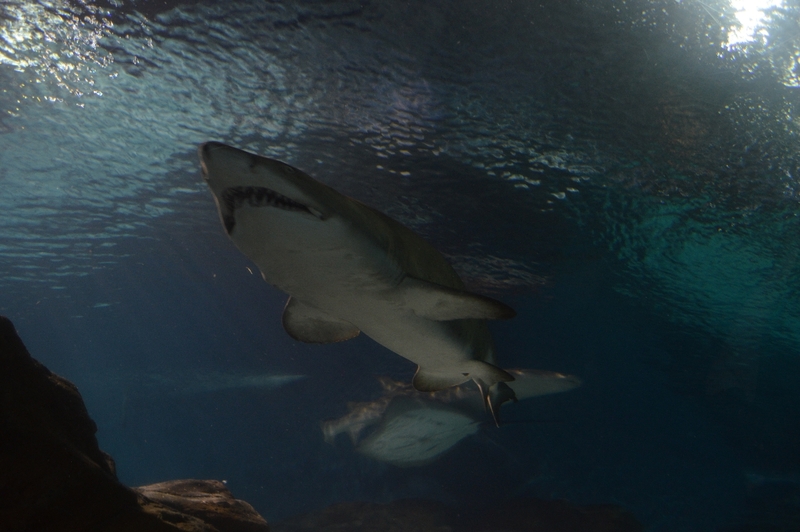 Categories: Travels | Tags: China, Shanghai, Shanghai Ocean Aquarium | Permalink.